Long Arm Pruner Supplier in Taiwan - Wise Center Precision Appliance Co., Ltd. Wise Center intends to be the dominant supplier of long arm pruner in our market areas by offering our retail customers, professional installers, and jobbers the best combination of price and quality provided with the highest possible service level. Our system is designed to fit the customer’s standards, as well as applicable domestic and international standards. 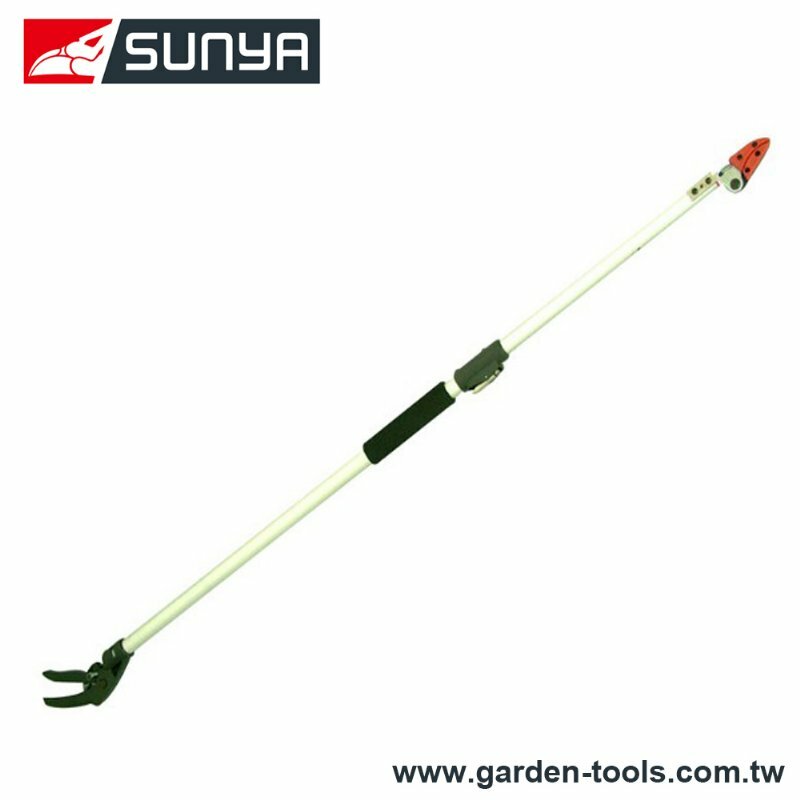 Please contact our sales office in Taiwan to discuss the suitability of tree pole pruner, long reach pruner, long arm pruner for your applications or email us for more information. Dear Sir/Madam, I’m interested in Aluminum extended handle Long Arm Pruner, 071A-L that your company provides. Would you kindly contact me with your detailed product information and FOB price? Thanks. Wise Center Precision Appliance Co., Ltd. intends to be the dominant supplier of long arm pruner in our market areas by offering our retail customers, professional installers, and jobbers the best combination of price and quality provided with the highest possible service level. Wise Center Precision Appliance Co., Ltd. is proud to offer all of the leading brands in performance tree pole pruner, long reach pruner, long arm pruner, at prices suitable for any budget. Most importantly, we back every one of our products with the best one-on-one customer service you'll find anywhere. Being a quality conscious organization, we maintain high quality standards in our products and policies. The range offered by us is manufactured using finest quality material that is sourced from vendors of high repute after scouring the market.